Stargaze's website was designed to help the prospective customers know who they are, where they are located and have the ability to view the large selection of spas and pools through a "frame page" connecting to their different suppliers. Jim Blackie of Gunstock Acres Advertising was interested in incorporating his logo into a design that reflects the look and feel of his local area. He also was interested in being able to promote the vendors of his advertising group allowing a web user to search vendors in an alphabetical or categorical manner. The website also has the ability to be updated by Jim directly from his web browser in his personal administration panel. Gilford Home Center wanted a basic site that linked to some of their suppliers, listed monthly specials, and talked about what they provide to their customers. They were also interested in having every member of their support and sales staff set-up with personal email accounts on the GilfordHomeCenter.Com Domain. The owners at The Burlwood Antique center were interested in being able to communicate with customers and potential customers but also their suppliers. 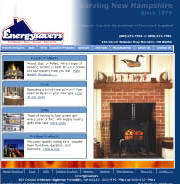 The site has a news and events, supplier, monthly specials, about us, and contact us sections. Energysavers wanted do be able to incorporate their logo, display their wide range of products, and services with a professional look. They were also interested in being able to add, edit, and delete all text and images via a web based control panel. The site has around 80 separate products listed and also incorporates Flash to give the site animated touch. The owner at The Fitness Edge was interested in being able to have a site that accurately portrayed the energy within the club. She also was interested in being able to draw in potential customers through high benefit low cost offers. The site has also been developed so that all text is self editable via the owners web based control panel. Seniorinvesting.com is designed to help inform clients and potential clients about the benefits of investing in a REIT. As all financial sites, this site had to be passed through Anderson Financials compliance department at Royal Alliance, NY. If prospective clients are interested in more information regarding the investment they can fill out a form that is then sent to Anderson Financial and they can then respond to the inquiry. When the site was built Marjory was interested in building a site that she could self edit to upload all new listings. She was also interested in have a stylish site that reflected the beauty within the region she covers. The site also features a response form, mortgage calculator and rotating images on the homepage. Running races are a big thing in Utah. With well over 100 running events each year people have difficulty knowing and keeping track of when races are. The UtahRunner.com site is an online race calendar that sells race information. Users have the ability to purchase a username and password, login and search races without any help with the transaction from the owner. The concept is great for businesses who have information that takes time to research. NHAutoLink.Com is a automobile marketing site designed to help web users search for vehicle, get price quotes from local car dealers, get specs, get financing, and list their car to an online classified service. 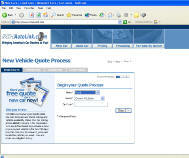 NHAutoLink.Com is an affiliate partner with Car.com and uses their technology and national dealer network.